Is ranked joint 14795th with 70 other trigs (more). 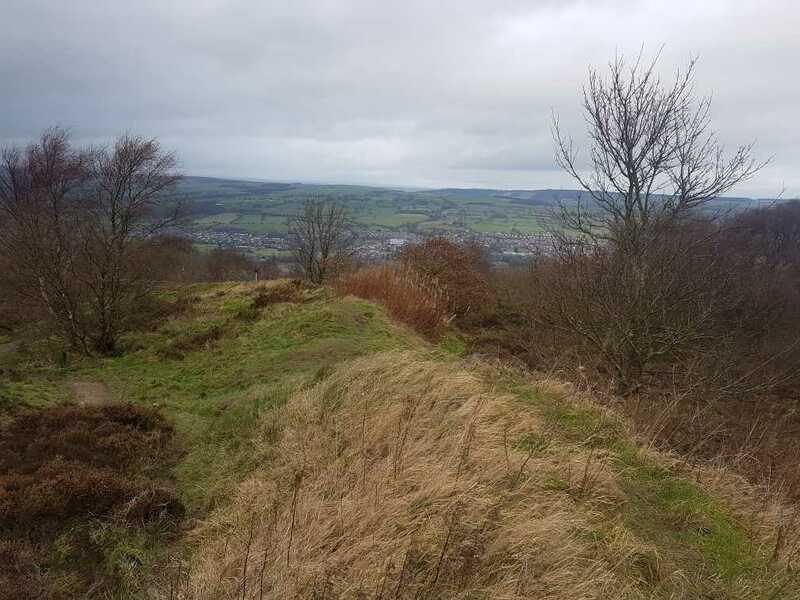 Visited whilst on BM walk in area, I checked out the possible trig remains at the ROC post it's on the north side of the wall in the west corner at junc of walls,it could be ROC related,but not remains of The Chevin pillar in my opinion. Walked up from nearby car park but no traces of pillar. However some fantastic views today. Short walk from car park. 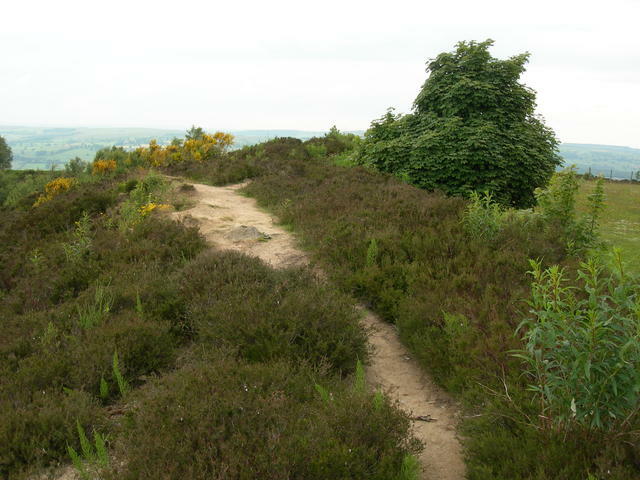 Pillar was located by a track leading up to the high point of The Chevin, a hump. OS records this as destroyed November 1969; no remains found. 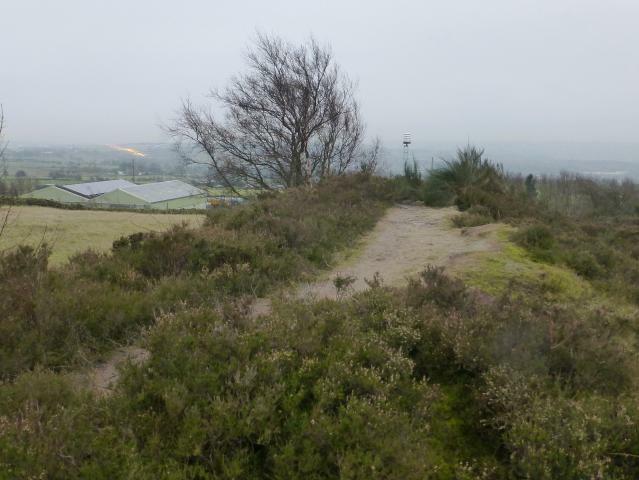 9 mile circular on Ilkley Moor taking in Overgate Croft Farm and Rombalds Moor trigs, then drove onto Baildon Moor, bagged Baildon Common trig and walked up to Baildon Hill trig, then drove round to and bagged The Chevin non-existent trig. Clear sunny and frosty, bigger Dales mountains in cloud. 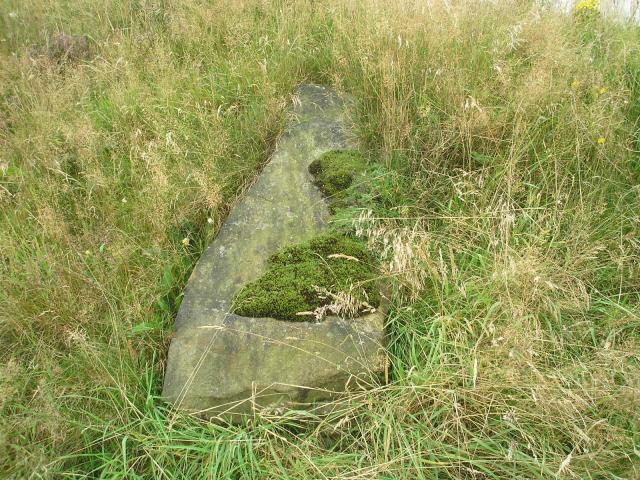 Been here many times over the years, trig never seen, or found. 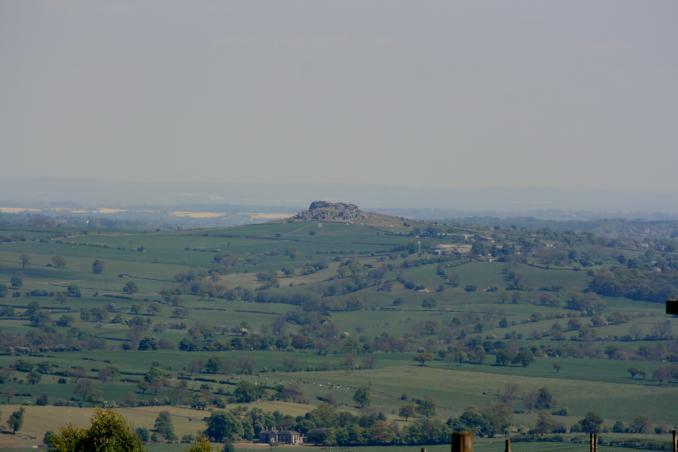 The Chevin Where it should be. 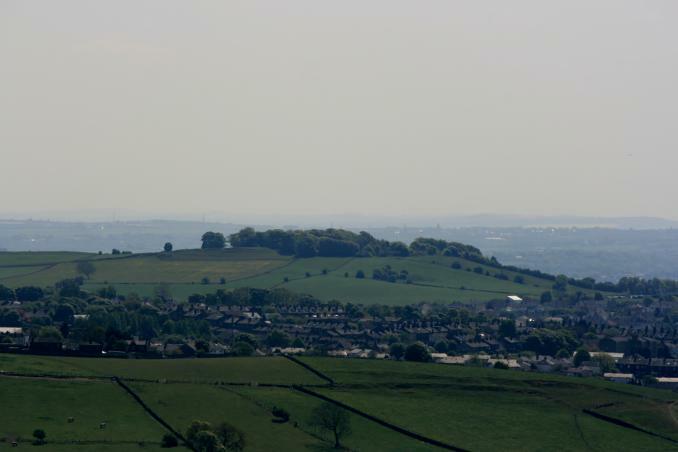 In the distance on left - Leeds/Bradford airport runway lights on. Gets a 7 for the views. A crying shame there was no trig to rest my sandwich box on. There are some great walks through the forest below. There is a colony of crested newts in the pool nearby and a very reasonably priced cafe a short walk down the hill towards Otley. Nice views but no trig point to be found. Didn't bother trying to find it - just noted that it had been here at some time as I wandered past and enjoyed the views. 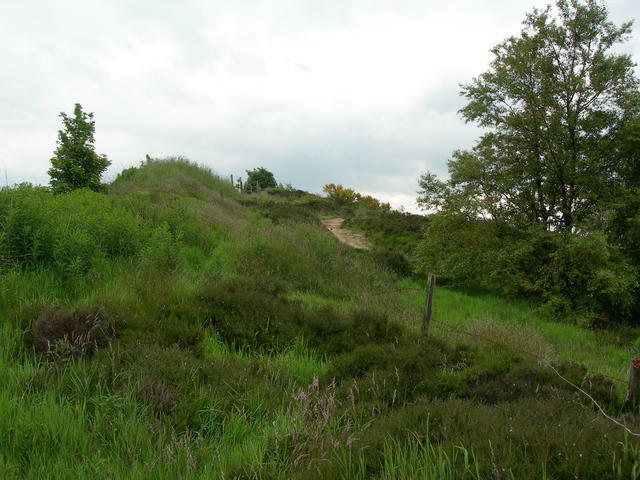 Destroyed, possibly when quarry was being landscaped. Could hear the tannoy system for the start of the Otley show in the valley below. 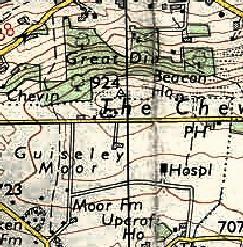 Walked up from Otley, explored old trackbed of long gone rail line near to the town, then began a very fine walk of The Chevin ridge. Shame about the missing pillar but the views are really good from here, there is a nearby viewfinder pointing out some local landmarks. I set off to look for this absolutely convinced that I'd seen it before (despite the long list of people who said it wasn't there). Well, I didn't find it nor the nearby surface block. I did have a very good look around in case it had been discarded under a bush or over a wall. 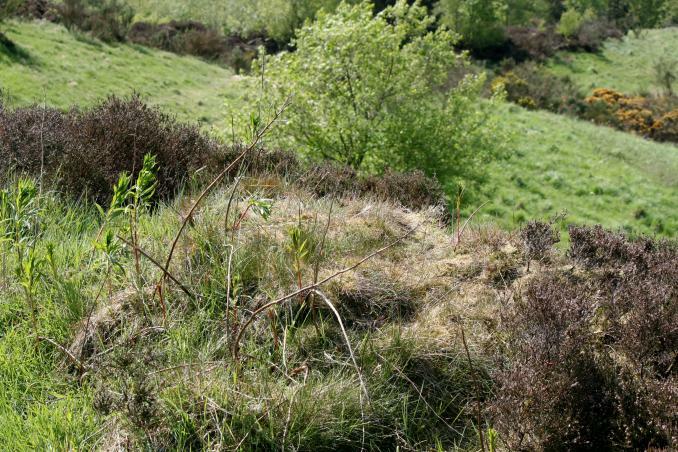 Briefly I thought I'd found it when looking back toward the ridge from around the corner of the fence, so I took a picture of a vaguely tapered shape lying against the ridge in the long grass. Later inspection of the photo shows it to be a rock. So, once home I studied the aerial photos on google maps and unless i'm dreaming there are two square objects casting shadows at the edge of the field, http://goo.gl/maps/BrLNF so perhaps they were still there not so long ago? Seems like a pointless destruction to me, I can only imagine it must have been an obstruction to quarrying activity, otherwise a total waste of time and effort ! 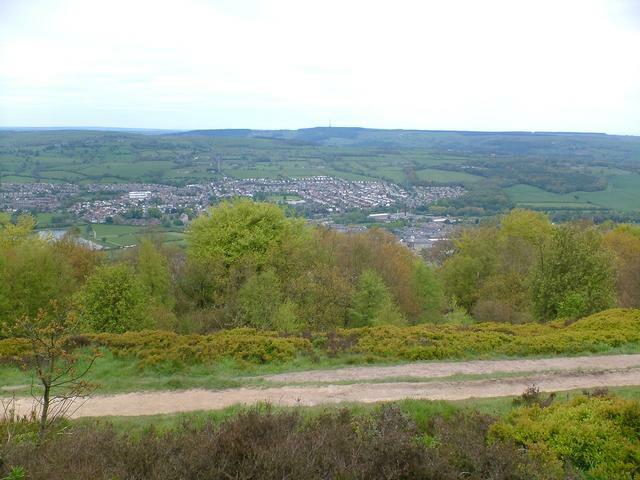 Not a waste of time coming up here though, the panoramic view from the Chevin is outstanding. 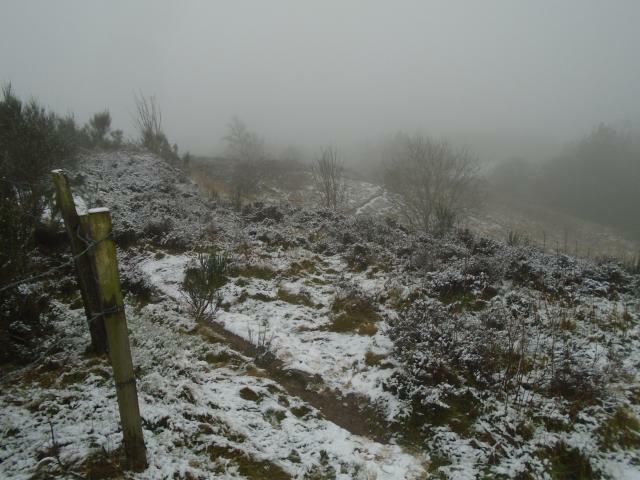 Its gone what a shame good views needs a trig! First time I've gone looking for a trig I knew wasn't there. Very boggy under foot, but a lovely spot. Log #2. (282m). 17/11/09. 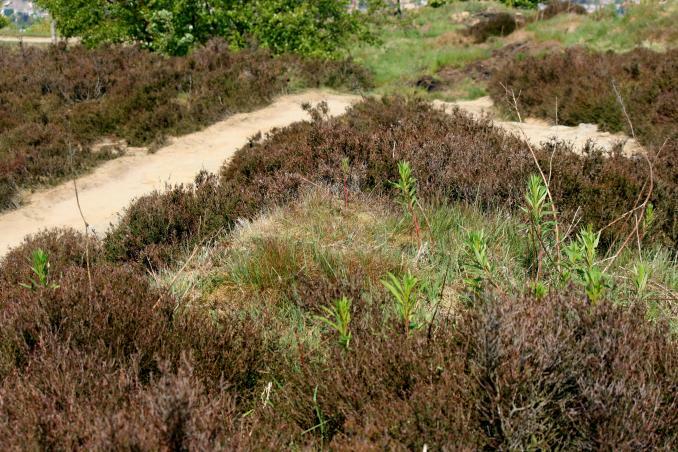 Bagged while hiking the 32km Dales Way Link path from Leeds to Ilkley. 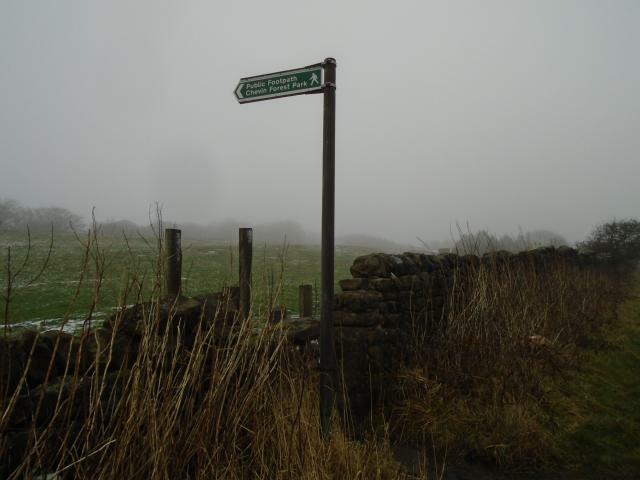 Todays stretch of 9.7km from Bramhope to Menston. Trigpoint just off the path, at Beacon Hill. Great views, Score is for views. 04/05/11 - A re-visit today while walking from Guiseley Rail Station to Otley Bus Station. As I suspected my first photos were of the wrong location. Sure enough I found what I believe to be the correct site on this trip. I had made the assumption that the pillar would have been at the highest point, but in fact, as often is the case, the site is below the peak, but not by much. 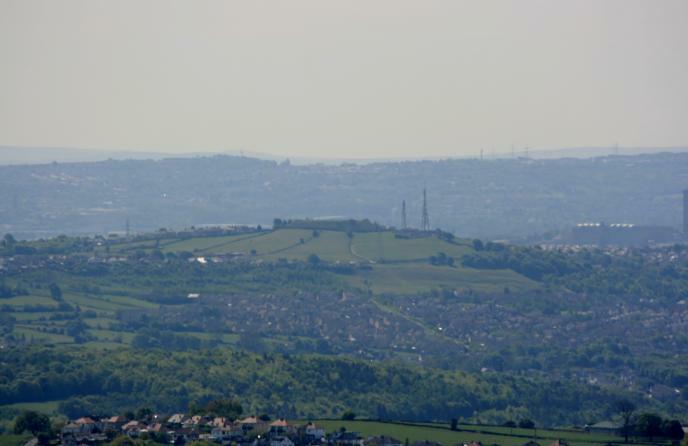 I could see at least 4 other trigs for triangulating purposes from the new site thru the binocs, Billing Hill, Idle Hill Resr, Baildon Hill and Plane Tree. Only one of those pillars is visible with the 250mm lens however. The Chevin Trigpoint The Site (C of shot) that I calculated this time. 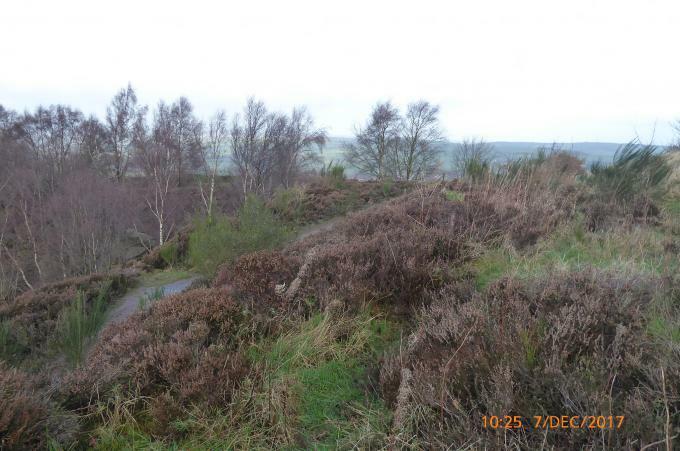 The site is 9 meters S of the fork in the main path above the quarry. 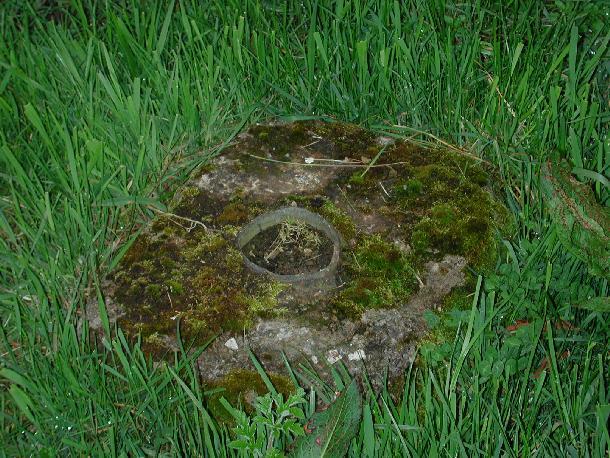 There is a definite mound here that could have been the base of a Pillar. View is from the South. 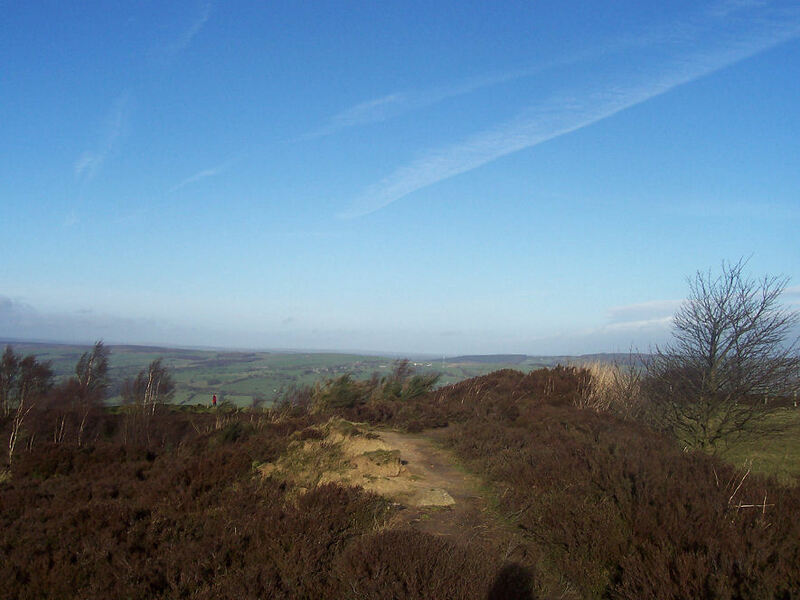 The Chevin views Billing Hill. Pillar can just be seen at extreme L of ridge. (below white object on distant hill). 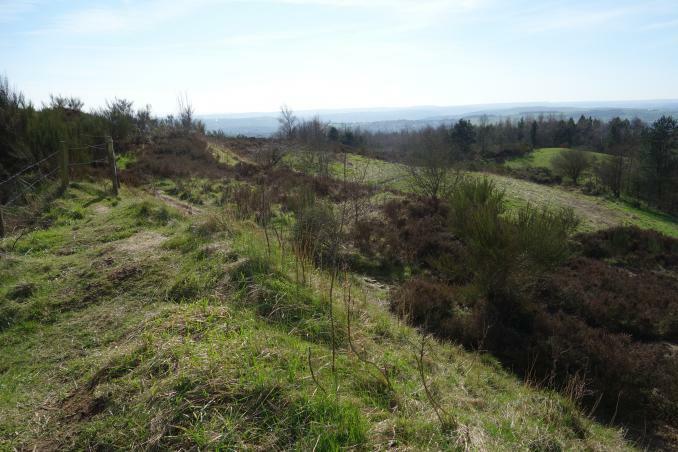 The Chevin views Idle Hill Resr. Range 7.6km bearing 207deg. Thoroughly searched the area, like others with know luck. Great views from site. 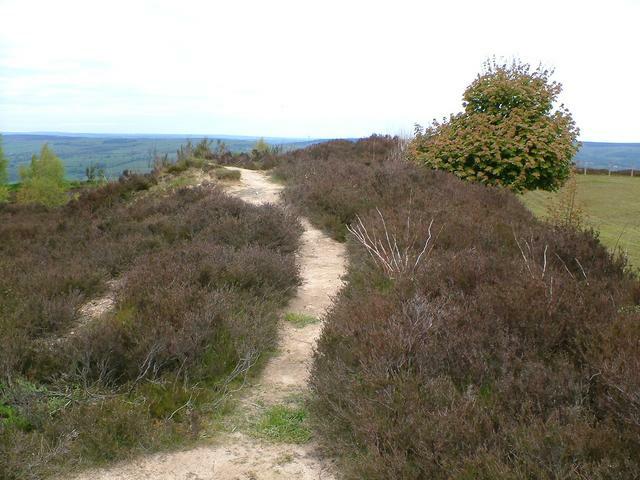 Also near site is another view point which helps walkers identify what can be seen. Such as York cathedral, the White horse and Simon Fell amongst others. Site is definitely worth visiting for the magnificent views. 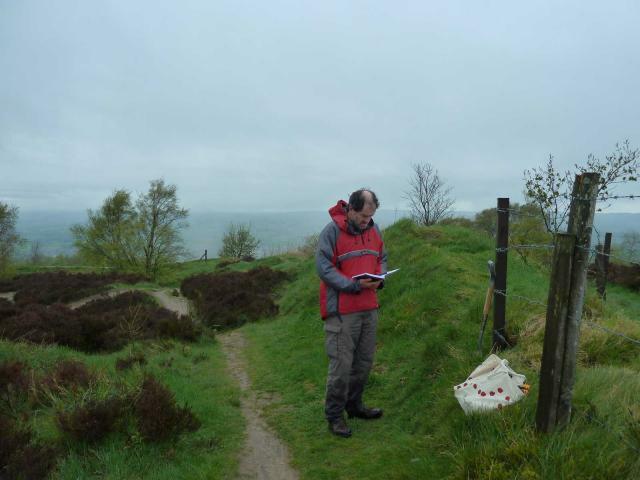 We found site by a combination of map reading and the photos supplied by previous visitors here. Note, re-visited several times since first visit, notably Easters 2010 and 2011. Gone, but hey, it's a sub-Marilyn, so worth visiting anyway. Noticed that the suggested FB given for this pillar below is S1817, but that belongs to Culter Fell (TP2681)? Another one gone to the great trig maker. I'm getting worried, it's another invisible one - suitable case for treatment? Had a good search, couldn't find the trig, a few possible places it could have been, but it's not there now. Some excellent views though! On surprise view so on a clear day you can see forever? No trig but lovely views over Otley and Wharfedale. 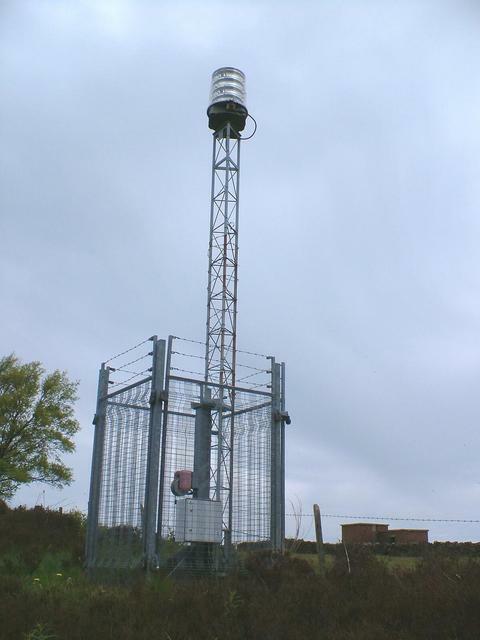 Found a strange aerial or transmitter which I beleive may be a UHF repeater used by the Otley Amatuer Radio Society to boost the signal in the valley. Don't some people have strange hobbies?? 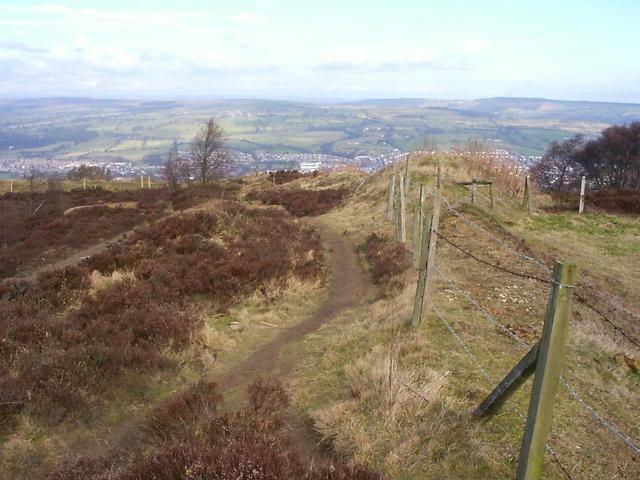 The Chevin The highest point? The Chevin The view North over Otley. 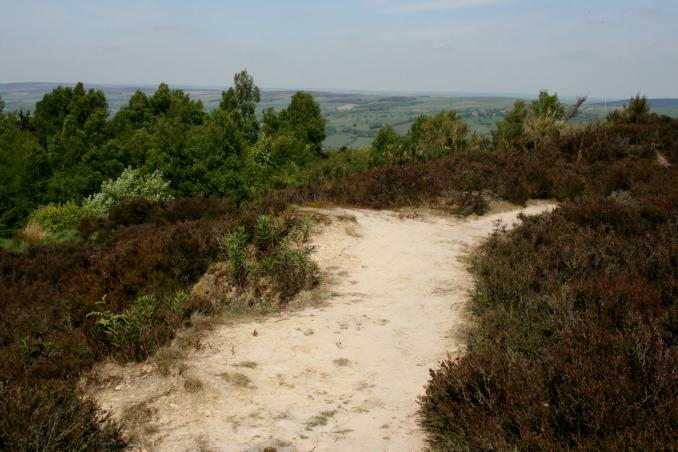 The Chevin Is it a UHF repeater? Staying at the hotel up the road so made a nostalgic visit to the site and also took in the cross, very moving. We knew the trig had gone but while in the area thought we'd visit this well known view point. The Easter Cross had just been erected and people were singing hymns at the base of it. We searched the area were the trig had been but found no evidence of it. I suspect it was a victim of the quarry. Had an ice cream at the parking spot when we got back to the car which cheered Shane up no end. OS list FB as S1817. Not there - but is not even marked on current maps. 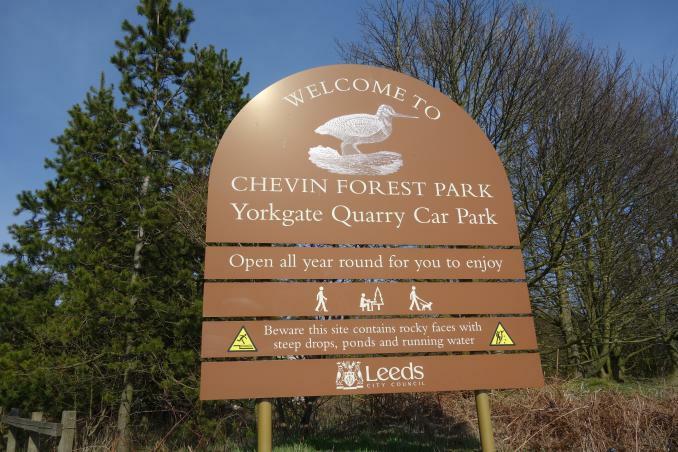 I worked just down the road from this site for several years in the 1980s and walked on the chevin regularly, I never recall seeing a pillar there.
? 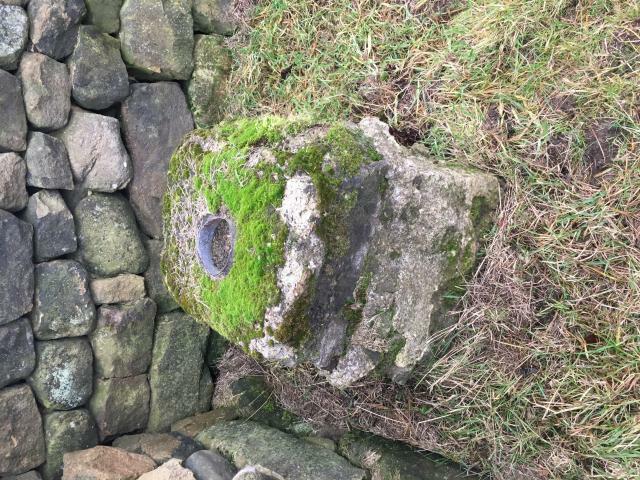 Found this concrete base over the wall, near to a brick-built shed. Thought initially it might be the remains of the former trig but now I suspect its more probably something like the base of a demolished flag post. Gone - seemed to be slight hollow where GPS indicated it stood. Another visit and another extensive search, same result no trace of the pillar. Had a good wonder around but couldn't find any trace of the former pillar, good views though shame! Walked around here many times late 1990 to 1992 while working at White Cross Vets in Guiseley. Never saw trig at this time.